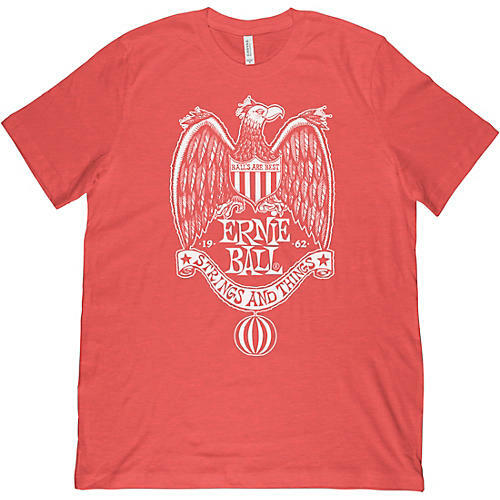 Ernie Ball's classic Strings and Things graphic featuring Arnie the Eagle as illustrated by artist Rolly Crump in the early 1960s. Screen printed white ink on heather red poly cotton jersey t-shirt. 52% combed ring-spun cotton, 48% polyester, 4.2oz fabric.